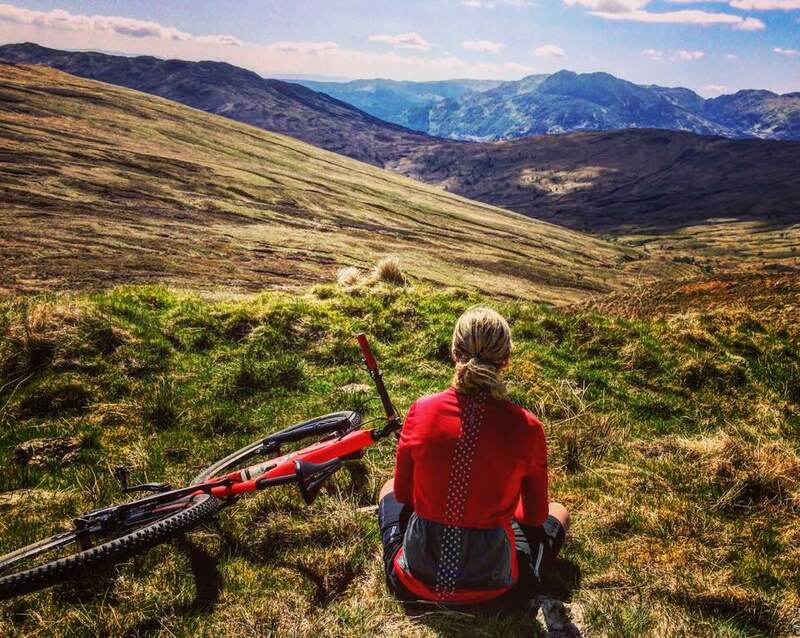 Live your dream and share your passion: The Selkirk MTB Marathon and Glentress 7; in search of answers. 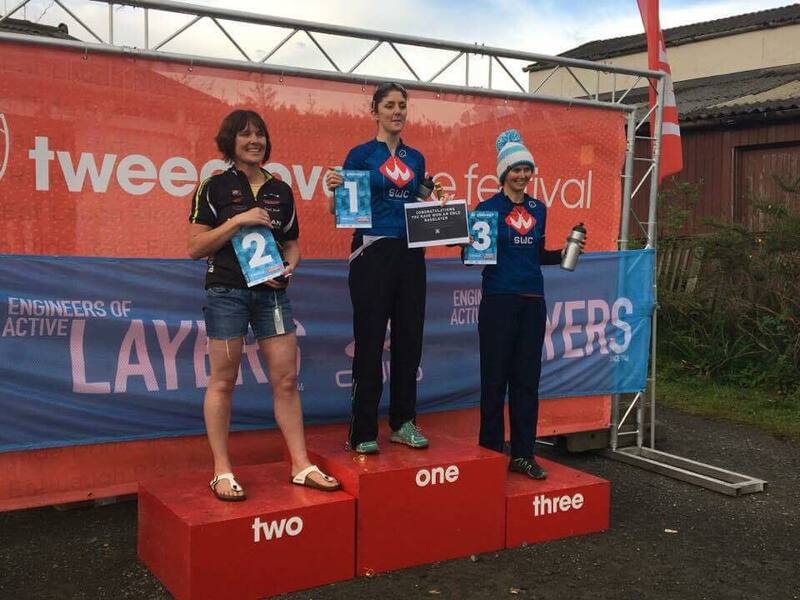 The Selkirk MTB Marathon and Glentress 7; in search of answers. It has been a bit of a funny few months, I have had a lot of moments questioning what I was doing. Having signed up for quite a few races this season whilst still not being half the athlete I once was. I have questioned what the point of it all was multiple times . I might never be able to be that athlete again. Why did I even want to try. Were all the disappointments and dealing with a broken back in the last couple of years not enough to let it all go? The first two races on my calendar were not exactly races I was thrilled about doing. 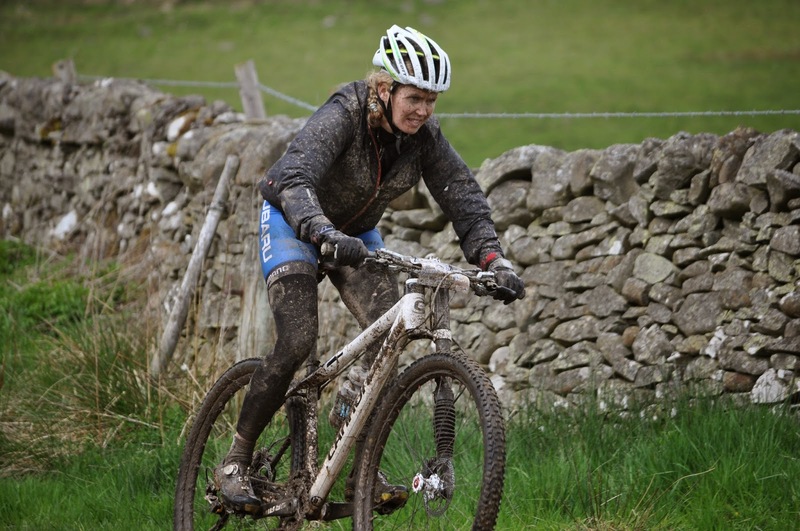 The first one being the Selkirk MTB marathon, a notoriously tough course. I raced the shorter distance back in 2014 struggling with the amount of mud having mainly raced on dry trails in Australia before. Although I set the fastest female time in the 50km, it was not a great experience! 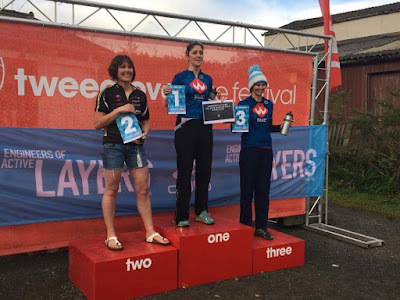 Two weeks after Selkirk I planned to race Glentress 7. A 7 hour lap based race on technical single trail. I had only raced a couple of lap based races before and I found them mentally a whole different ball game. 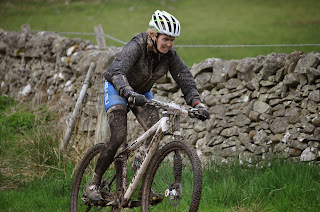 Glentress 7 last year was the race which absolutely broke me in so many ways. 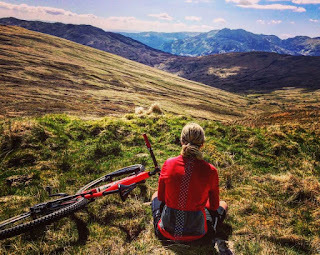 Nothing about the course suited me, constantly changing with short sharp climbs and technical descending on off-camber rooty, rocky narrow single track, my biggest MTB nemesis! The technical feature "the pot hole" was the only part of the course with a "chicken route" and was ironically the only technical part of the course I felt I owned!! Last year my negative mind set got the better of me and I could not ignore the severe sciatica radiating down my leg. I pulled out after 4 and half hours of racing after I got taken out by a male rider crashing into me coming from behind thinking "never again". Two races, two previously bad experiences at the start of my season after a serious injury. Why did I do this to myself? And that question lingered in my head whilst standing on the start line of the Selkirk Marathon. 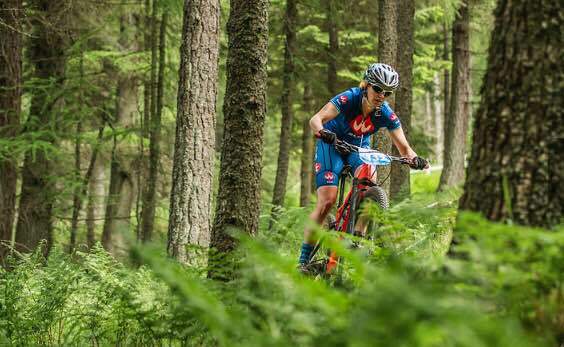 But coach Rab seemed confident, "there is no pressure from me" he said "it is just to get you racing again" (my last MTB race being a good 12 months ago) I roped my physio Dave into racing Selkirk with me. Together with my Sandy Wallace team mate Naomi, the plan was to have a good fun day on the bike and not chase any records. My legs felt as fresh as they had ever felt at the start of a race and I struggled keeping my heart rate at tempo heart rate which was the pace Rab and I agreed on. It felt almost to easy and I really struggled getting into a racy mind set, struggling to focus. It was a beautiful day though and having Dave to ride with and settle my nerves was really great. I did not feel particularly confident on the descents and rode a bit like a clown on the technical sections but I had my climbing legs on and was going for well under 6 hours (which was what I wanted to ride it in) until I flatted in the final 10kms. I spent about 20min having an absolute melt down, trying to get my tyre off the rim trying to fix it! Thank god Dave was there to help me out or I would probably be still somewhere in between Innerleithen and Selkirk yelling at my bike! It ended up being a solid ride and although I did not feel like I raced particularly well, it was a positive experience and I felt I could build from here. 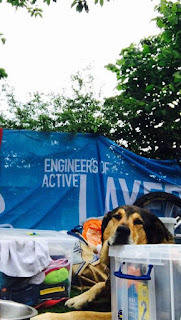 The two weeks in between Selkirk and Glentress I was struggling a bit physically. I needed the ok from physio Dave to race and I was still really struggling with fatigue. A problem I had been fighting against since 2014. I found this extremely frustrating and my initial instinct was to push through it and train harder. But luckily I had a smart coach in Rab from Dirtschool who religiously went through my heart rate data with a fine comb every week and ordered me to take it easier. With the ok from Dave I stood at the start line of Glentress 7 with a rock in my stomach. I knew I was tired having had a couple of busy weeks at work. My legs had not adequately recovered from the Selkirk Marathon and the volume I had done in between. I had a thousand excuses in my head. "time to suit up and face my demons" I thought. The plan was to ride consistent laps for 7 hours, again at tempo pace, not race pace. "You are still in your base training phase" were Rab's words. I personally wanted to really ride my own race mentally, focus on myself, block everything out. Not worry about anything else but the task ahead of me. I started at the back of the field which meant it took a while before I was riding at my own pace. Legs felt a little smashed for the first two laps but strangely they recovered during the race. The first 3 laps felt like a drag but I managed to focus a lot better than I did at Selkirk and did my thing, lap after lap after lap. Completely out of my comfort zone on the descents but taking it back a notch so I was riding in control. My aim was to do 6 laps and if I could do 7 I would be happy. On my 7th lap I felt I really could do no more and on the way down I got taken out by male rider not really increasing my enthusiasm to make it 8. "Not again" I thought when I was down on the ground untangling mountain bikes. As I trembled back on the bike the lovely Lynne Davies passed me yelling "we have 10 min to make it down for cut off time" We had been playing cat and mouse all day and at this stage I really wanted to finish on the same amount of laps as the leaders knowing that with 7 laps I should be close. I followed her down and off we went onto lap 8, I had not much left, not to say nothing left. I struggled to concentrate almost crashing every corner. I kept on seeing Lynne's distinct orange helmet in the far distance whilst I was trying to keep her in my reach. When we made it to the top of the course, the heavens broke loose and thunder and lightening surrounded us. The course had turned into a slippery slope downhill matching my MTB skills! I lost Lynne on the descend and was relieved to be led around the last part of the technical trails back on fire road out of safety issues. I was super happy to finally cross the finish line, with all the things I wanted to tick off, ticked off. Not having any idea where I placed all day Michael was excited to tell me I just got beaten for 2nd and the top 5 were racing minutes from each other most of the day!! I did not think this would be possible so early in the season and I owed a big thank you to coach Rab and physio Dave. Glentress 7 answered the questions I needed answering. In the last couple of years I got caught up in the whole elitism of the sport, making it a competition with anyone and everyone who was willing to take me on. How strange it may sound, it has never been about the competition for me, it has never been about placing and podiums. I actually did not like a competitive environment. What I loved about racing and what it did for me was the ability to be pushing my own limits. Every time I raced, try to dig that little deeper. Get everything I have out of myself physically and mentally and try to better that the next time. 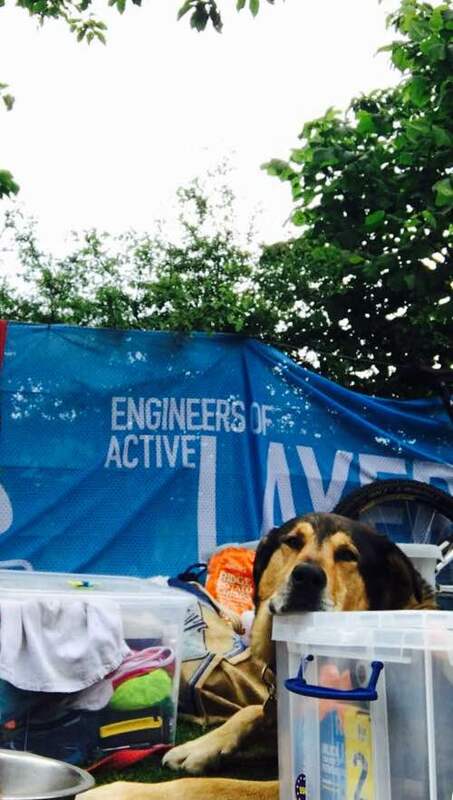 6 laps at Glentress Seven would have made me happy, riding the 7th lap I felt like I could not go any more, a crash made me think that is enough for me and call it a day even if I would make the cut off time. Yet I went on to do an 8th lap, pushing my absolute limits for that day and surprising myself what I had left in me. For me that is what its all about, for me its those athletes who keep on pushing whatever the circumstances whom I am inspired by and why I love sport so much. When the odds get beaten and the impossible becomes possible. In a society where stability gets the most rewards, I always find myself on unsteady ground searching for the next new challenge. The question "will you ever be happy" has been asked me many times. But what if this is my happiness? My journey in life, searching for the next pursuit. Following my passion and always wanting to push that little further to keep on expanding my limits. Searching for my own path and no body else's. A great quote by the man who climbed Mt Everest in record time last week short after another legend Swiss speed climber Ueli Steck lost his life in the same mountain range doing what he loved doing. but we're going in search of happiness"
every step along the way. Failing is not feeling. our own path, even if it doesn't reach the top."